Music Charts Magazine Radio Shows DJ Jimmy Jay America’s favorite ROCK and ROLL DJ!!! 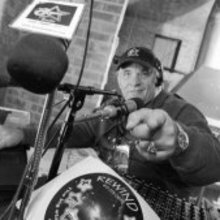 Go through time with legendary DJ Jimmy Jay “Rewind” as he speaks with multiple celebrities in this special radio show remembering the great Marshall Lytle. Including special guest appearances from James Marvell of “Mercy”, Al Jardine of “The Beach Boys”, Paul Revere of “The Raiders”, Charlie Thomas of “The Drifters”, Diamond Dave Summerville of “The Diamonds” and so many more celebrity names we all know and love.